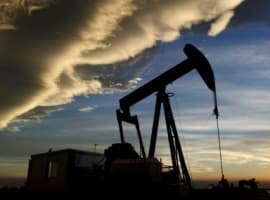 U.S. West Texas Intermediate and international-benchmark Brent crude oil futures are trading higher on Friday, putting both markets in a position to close higher for the week. The markets are also in a position to change the trend to up on the daily chart after posting a nearly month-long countertrend rally. The catalysts behind the rally are hope for a trade deal between the United States and China and adherence to the OPEC-led plan to cut production, trim the excess global supply and stabilize prices. Perhaps keeping a lid on prices are concerns over rising U.S. production and lower global demand. After a mostly sideways trade earlier in the week, crude oil prices are picking up a bid on Friday in reaction to a report in The Wall Street Journal that Treasury Secretary Steven Mnuchin had floated the idea of easing tariffs on Chinese goods. This comes on top of the successful mid-level talks earlier in the month and the highly anticipated higher-level negotiations tentatively scheduled for January 30 and January 31. At this time, the reaction to the report in the WSJ is all speculation since Treasury officials told CNBC that there is “no discussion of lifting tariffs now.” Nonetheless, the story has been strong enough to drive some of the weaker shorts out of the crude oil market. Actually three bullish factors have been pushing prices up. The first is indications that both the United States and China are wanting an end to the trade war. President Trump has at last realized that he can never win a trade war against China and that the war was hurting the US economy far more than China’s since the Chinese economy is bigger and far more integrated in the global trade system than the United States’. Moreover, China will never put its name to any agreement which gives even a hint of an advantage to the US to enable President Trump to claim victory. To facilitate ending the trade war, the United States has so far made two concessions to China. The first one is when US Treasury Secretary Steven Mnuchin declared in November last year that China has not actually been manipulating the value of the yuan to achieve trade benefits at the expense of the US, one of two claims made by President Trump to justify imposing tariffs on Chinese exports to the US. The other is a recent report in the Wall Street Journal that Treasury Secretary Mnuchin had floated the idea of easing tariffs on Chinese goods. The second bullish factor is that the OPEC+ production cuts are starting to permeate the global oil market and impact on prices. Saudi Arabia and OPEC are determined to ensure that the cuts will do the trick and reduce the glut in the market. Russia is also determined to stick to the cuts but at its own pace. 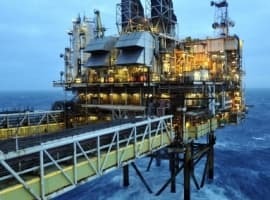 A third factor is that the global oil market fundamentals are robust enough in terms of a global economy projected to grow at 3.7%-3.8% in 2019, a global demand for oil projected to add 1.4 million barrels a day (mbd) this year over 2018 and China’s rising oil imports projected to hit 11 mbd this year having reached 10.31 mbd last year, to support an oil price of $80 a barrel or higher this year. Still, there will be one bullish element at play this year. It is the realization by the global oil market that US sanctions have so far failed to cost Iranian crude oil exports the loss of even a single barrel of oil thus discounting the possibility a supply deficit. Furthermore, The United States has no alternative but to renew the sanction waivers it granted to eight countries in November last year when they expire in May this year or issue new ones. There are two important reasons for that. The first is for the Trump administration to use them as a fig leaf to mask the fact that their zero exports option is out of reach and that the sanctions are doomed to fail. The second reason is that the United States risks exposing its weakness and helplessness in enforcing the sanctions were it not to renew the waivers in May or fail to issue new ones. The eight countries who received waivers in November with the exception of South Korea and Japan will not stop buying Iranian crude if the waivers were not renewed and the US has no power to force them to stop. Claims about explosive growth in US oil production have been discounted by the global oil market as hype, hence their limited influence on keeping a lid on prices. Indications of a slowdown in US shale oil production are coming fast and thick from various sources and yet the EIA is still hyping about US oil production rising this year to 12.1 mbd from 10.9 mbd in 2018. 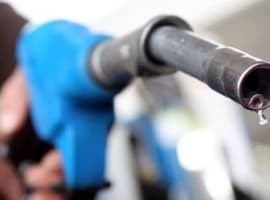 Foreign governments for compitition have accomplished their agenda in making fuel prices low so to change consumer purchase decisions towards SUV and trucks over cars. This made U.S. auto companies decide to drop car production and focus on those selling. When the market becomes saturated with the low mileage products, Wham, now the U.S. economy is dead in the water because no backup plan or car production line up. Just like what was done in Aug2005-Feb2015, fuel spiked to near $4 per gallon for that 10 year span and the U.S. economy stalled and had a hard recovery. Yet U.S. experts are dumbfounded as to what the hell happened!!! It was called and titled "the perfect storm" by many who planned it!! !